Many people are starting to understand the importance of Amazon reviews. The number of reviews, and mainly of course those positive reviews, can directly influence your product sales and rankings. But the truth is, most people have no idea how best to go about this. 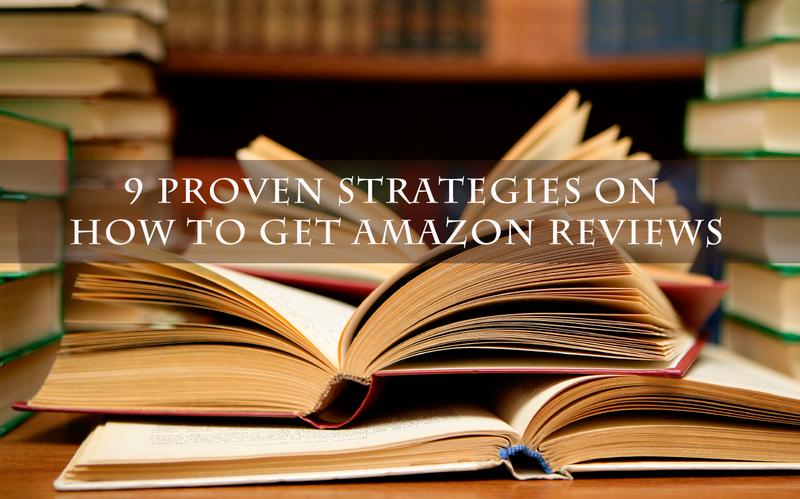 This article introduces 9 approaches that can help get more Amazon reviews. Each of them is tried and tested. This is probably the most complete 101 for how to gain Amazon reviews. Now let’s get down to business. This is actually a very common channel. First you need to register on a deals website like Slickdeals, or similar deals website. You have to pay some fees, but this usually has a higher success rate than posting on online forums, and takes less time. The risk to this method is that these deals websites are usually prohibited by Amazon, and many websites require you to be a member, or push their tools first before you can post your deals. Except that, the process is relatively complicated but the cost is relatively low. If you can manage to create interest in your products, you will likely find this to be a good method of gaining reviews, but if your product doesn’t generate much interest, it may end up being a waste of time. 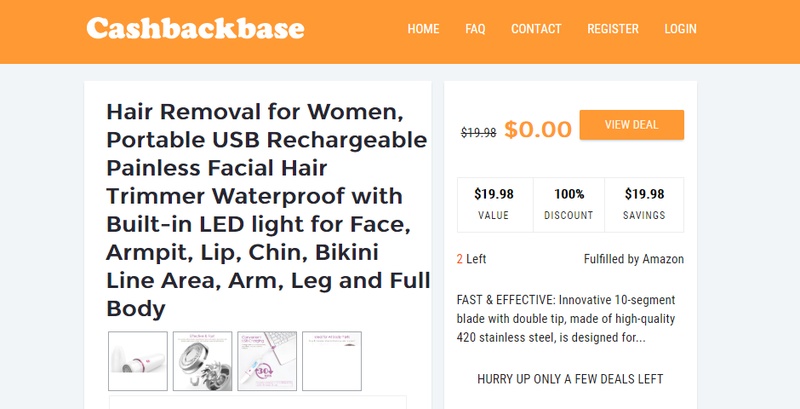 Here I would like to recommend you an effective website called Cashbackbase. It is a new amazon deals website and very popular among Amazon sellers. This involves registering on different websites and posting your products to lure other users to comment on your products. It will be a good method if you can find a safe and stable website. You may also like: The Best 60 Amazon Review Trader Sites Sellers Should Never Miss. This is a long-term commitment, but can be very useful. It can be hard when you first start out, but once you have collected enough email addresses from your first product, this paves the way for your second, third, and so on. You can then send emails to everyone on the list, using ads you have created to generate traffic for your landing page or independent websites, and convincing users to subscribe to your services in exchange for discounts, among other things. For this to be truly effective of course, you will need to invest in a landing page and independent website. The method can also be tweaked to attract fans through Instagram, Facebook, and YouTube by hosting promotional campaigns to collect email addresses, but doing this can also take up a lot of your time. This method takes time, but will bring you long term benefits. For this reason, it’s highly recommended. Contacting reviewers directly can also be fruitful, and so this is method 3. Collecting an email list may cost a lot of time and money, but it is probably the safest and the most effective way of gaining positive reviews for your products, as the user group you are targeting is precise, and the risk to your account is low. So, it’s a good idea to find ways to get your target users’ email addresses. This involves first finding product pages where target users once purchased products and left reviews, then collecting their email addresses and emailing them. For instance, my target users might be sports-loving women, so I can visit some amazon stores selling yoga mats or other similar sports equipment to find email addresses. However, as easy as it sounds, doing so manually is no easy task. Thankfully, there are great tools to help you with this, such as AMZDiscover. Using a tool can make it very easy to target specific user groups, and retrieve email addresses that can then be converted into positive reviews for your products. This is less risky and more efficient than going solo. This will cost you less time and money than other methods, and has a lower risk. Highly recommended. The trick is to join Facebook reviewer groups. These groups are full of sellers and reviewers. You can post products and offers in these groups. Most reviewers will require you to give them products for free or with a pretty big discount in order to get them interested. Looking for reviewers like this is always a good method, and you can get reviews pretty quickly. So there are two ways to do this; the first way is to post a message by yourself in the hope that someone will be interested straight away, and the second is to request admin of that Facebook page to promote your message and pay him or her in return. Of course looking for reviewers in Facebook groups also has its risks. It’s likely some resellers or competitors are stalking these groups for new product ideas, and some people might even take your free product and run, without posting a review at all. So try to think about the risk and reward ratio. Even with the risks though, it’s probably the cheapest way to gain a few good reviews, and if you have a low budget and no connections, it is probably something you shouldn’t ignore. This method is recommended for those who have less connections and a tighter budget. This is what is known as a medium risk strategy however, as you have to be careful what information you share. There are large crowds of people that love to gather on various online forums related to their interests. Reddit is a typical example of this. There are many Subreddits within Reddit itself. These Subreddits are user-created areas of interest with specific topics of conversation. This means you can post messages in Subreddits relating to your products to attract potential partners. There are some things you need to now before jumping right in however. The trick is that you need to get really involved in the forums for a few weeks or months before you post anything relating to reviews. For example, if your product is some sort of fitness equipment, during the product development phase, you could talk about how your product is developed and what features it has on fitness and sports-related Subreddits or sub-forums. More importantly, you can take this opportunity to ask other users for help and advice. By doing this, you can build a good rapport with them. After users are familiar with you, it’s easier to send your products to them for free or offer a discount in exchange of their reviews after your product is released. The problem with this method is that it’s not always successful and can sometimes take a long time to achieve the best results. But, the risks are lower when compared to the previous method we mentioned involving Facebook groups. You need to spend a lot of time interacting with people, but after your product is more well-known and released, you can send them to other users or give discounts in exchange for reviews. There are many professional review service agencies, and you can of course outsource to them. Most agencies just ask that you submit your product links or URLs to them, and they will handle the rest. You can buy as many reviews as you need, and don’t really have to worry about a thing. Generally speaking, this method will help you obtain the largest number of reviews while being the least time consuming. It also probably poses the lowest risk to your accounts as well. Of course the price is comparatively high and this needs to be considered as well. This can save you time, however it will cost you a lot. Through the Amazon API, you can access third-party tools to send automatic emails. This offers you the chance to capitalize on every purchase, and convince every buyer to leave a review. Most sellers don’t pay attention to this process, but it’s not as daunting as some may initially think. Generally, automatic emails are split into three. The first is a shipment reminder email, the second is a delivery reminder email, and the third email is to offer your regards after the product is received. In the third mail however, you can also politely ask buyers for feedback or reviews. This has the potential to turn any sale into a review. Utilizing this can get you more reviews and lower the chance of customers leaving negative reviews. This can also be very useful and is recommended too. Simply ask your friends and family to write reviews for you. Easy right? I mean, they must of course be willing to do this, but I’m sure most will help out in some way. Many people are doing this. Having said this, I can’t really recommend this method. Why? Because of the risk to your account. Amazon guidelines clearly state that family members or close friends of a person, group, or company selling on Amazon may not write customer reviews for those they are familiar with. The method works, but it violates Amazon policy. Amazon knows your friends and families will definitely give you positive reviews, so they’re obviously not going to allow it to happen wherever possible. It’s risky and not recommended. In the good old days there were quite a few sellers buying reviews through freelancer platforms like Fiverr. Obviously, this was very cost-effective because it was only 5 dollars for a review, but Amazon soon put a halt to this and now it’s no longer possible. So the reason for mentioning this here is actually to let you all know that this method will not work anymore. So, if anyone suggests this method to you, you should probably just ignore them. It’s very risky and has a low chance of success. Therefore, not recommend at all. This is also very risky. Not recommend. How to get a top Amazon reviewer email list and obtain product reviews? Could you send me your lista as well? Hello, you can write to AMZDiscover support to get email list.